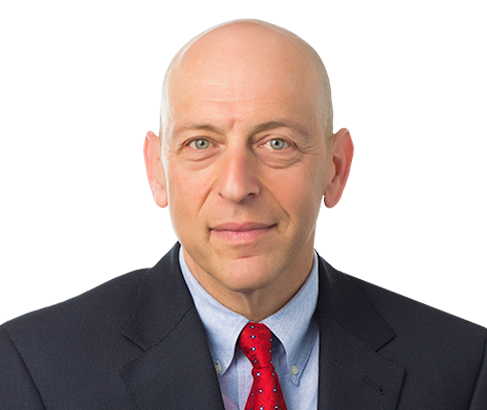 David Rosenberg defends his clients in premise, product and general liability cases, insurance matters, commercial litigation and employment issues. At the outset of a case, Dave develops a litigation analysis focused on cost-effectiveness and recommends alternative dispute resolution where appropriate. His clients include insurers and their insureds, from a variety of businesses and professions. Dave is on the Board of Directors of the International Association of Defense Counsel (IADC) and is the former President of the IADC Foundation Board of Directors. He was also named to the faculty of the 33rd Annual International Association of Defense Counsel Trial Academy at Stanford Law School. Dave is an Adjunct Professor at the University of Pittsburgh School of Law where he teaches Trial Theory and Practice and assists in the coaching of the Mock Trial Team. Dave also is a certified mediator in Pennsylvania concentrating on subrogation, property insurance and first-party insurance dispute resolution matters. He has achieved an "AV" Peer Review Rating from Martindale-Hubbell, and was named to Best Lawyers for Insurance Law from 2015-present. Dave has been recognized every year since 2010 by the publisher of the Pennsylvania edition of Super Lawyers magazine as being among the top 5 percent of practitioners in his practice specialty within the Commonwealth. Dave has been recognized in the 2015, 2016, 2017, 2018 and 2019 issues of Who's Who Legal: Life Science Products Liability. He is one of only 10 Pennsylvania attorneys listed and the only one from Pittsburgh. Dave is a member of Weber Gallagher’s Diversity Committee. Successfully represented the City of Hermitage in First Amendment case before the 3rd Circuit. The judges agreed with David argument that Mercer Outside Advertising LLC lacked standing to pursue 1st and 14th Amendments claims against the Hermitage. Mercer applied to construct billboards in Hermitage and the applications were denied. Mercer claimed, among other things, that Hermitage violated its right to free speech. Initially, the District Judge in the Western District of Pennsylvania granted Hermitage's Motion to dismiss. The District Court did not consider Hermitage's argument regarding standing, but did agree with David arguments on the merits of the Constitutional claims and dismissed the case. The Third Circuit, in a Non-Precedential Opinion, wrote that the case had become "extraordinarily complicated" and noted that the Circuit Court had not addressed Hermitage's lack of standing argument, instead deciding the case on the merits of the convoluted arguments raised by Mercer. The matter was remanded to the District Court to clarify its order and the action against Hermitage has now been dismissed.